This charming adaptation of Truman Capote’s novel, set in an idealised early-1960s New York, was nominated for several Oscars. 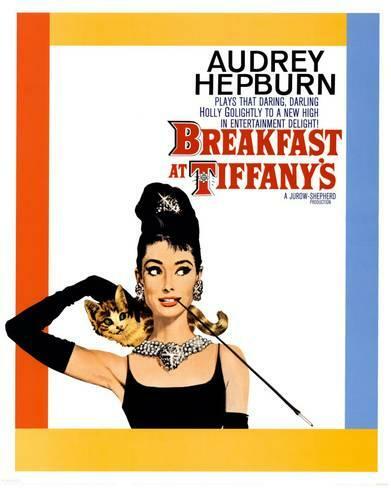 Audrey Hepburn stars as Manhattan good-time girl Holly Golightly, who spends her time at exclusive parties and on high-class dates. The carefree Holly – who remains uncommitted and aloof towards the wealthy men who shower her with gifts – strikes up a fragile relationship with her neighbour, the aspiring writer Paul Varjak (Peppard). He is suffering from writers’ block while being kept by a wealthy woman (Patricia Neal). But just as Holly and Paul’s romance begins to grow, Doc (Buddy Ebsen) appears on the scene and complicates matters, revealing the truth about Holly’s past.